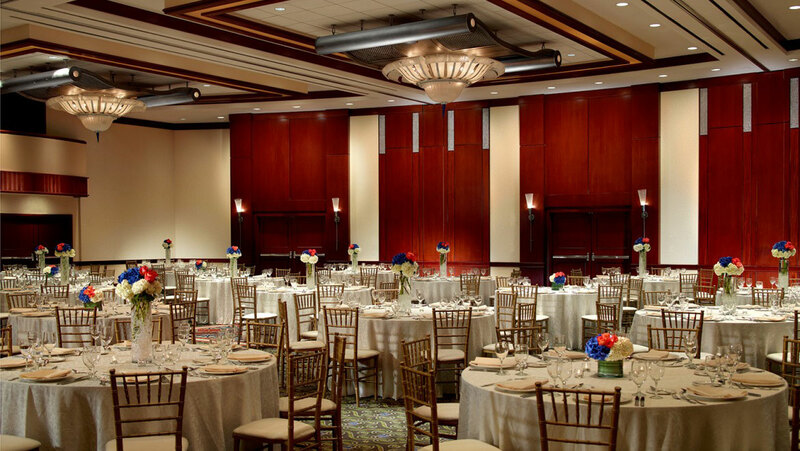 Omni Atlanta has a variety of grand and intimate venues that are perfect for your big day. Our wedding team works personally with you to make sure that your day is just as you imagined. With more than 120,000 square feet of event space, the possibilities are endless. 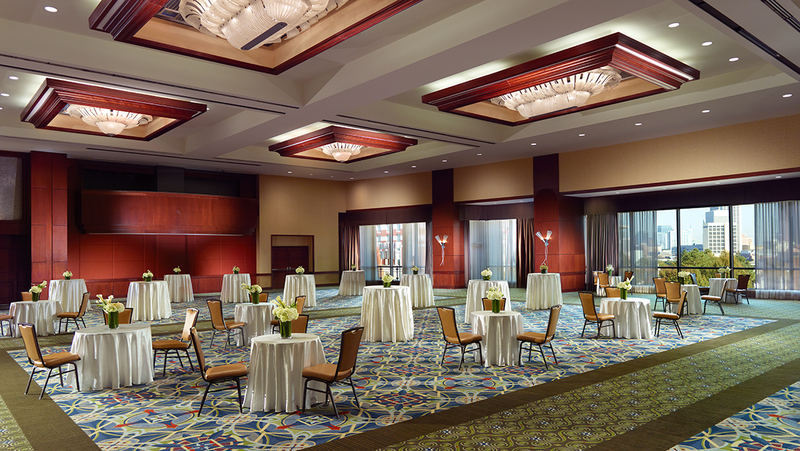 Our elegant 19,864-square-foot Grand Ballroom, with its dramatic 21-foot-high ceiling, has floor-to-ceiling windows overlooking Centennial Olympic Park. Consisting of six sections ranging from 1,940 square feet to 7,490 square feet individually, these spaces can be used separately or combined to form one large ballroom. A service corridor is located behind the ballroom, allowing food and beverage service to be discreet. Our beautiful 14,196-square-foot International Ballroom, with an 18-foot-high ceiling, has stylish floor coverings, acoustic wall panels and stunning chandeliers. Consisting of six sections ranging from 1,187 square feet to 3,962 square feet individually, this ballroom can be configured for events of all sizes.